The farms, one in the central region and the other in the south, will have a combined capacity of 940 MW. Companies from Vietnam, Ireland and the U.S. on Monday signed cooperation agreements to build two wind farms in Vietnam worth $2.2 billion. The pacts are part of various deals reached by Vietnam and Ireland during the visit to Vietnam by President of Ireland Michael D. Higgins from November 5-14. 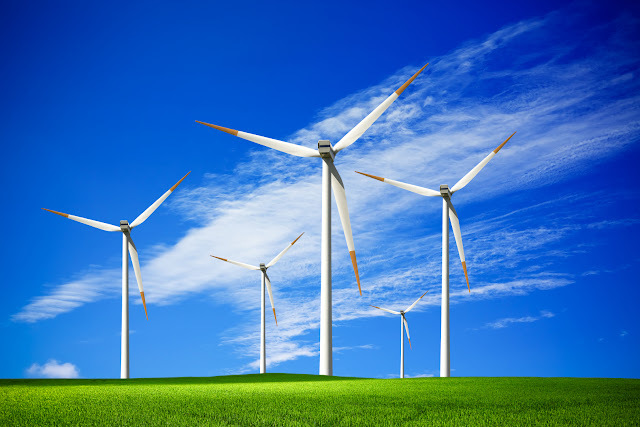 Vietnam’s Phu Cuong Corporation will join hands with Ireland’s Mainstream Renewable Power Ltd. and the U.S. giant General Electric to set up an 800-megawatt wind farm in the southern province of Soc Trang. The project will need $2 billion. In the second project, Vietnam’s Pacific Corporation will cooperate with Mainstream Renewable Power Ltd. to build another 140-MW wind farm in the central province of Binh Thuan, which is worth $200 million for construction. The same day Vietnam and Ireland also signed other agreements on poverty reduction, education and training, information and communications. Vietnam has recently revised down the target for electricity generation by coal-fired thermal power plants from 56.4 percent of the total electricity generation to 53.2 percent by 2030. The country is more focused on renewable energy, particularly solar and wind energy, targeting a renewable energy ratio of 10.7 percent by 2030. But that will require a lot of investment in the coming years. Wind and solar powercapacity is estimated to account for only 0.8 percent and 0.5 percent of total electricity generation respectively by 2020. With over 3,000 km of coastline and numerous islands, Vietnam has more wind power potential than most of other Southeast Asian nations with a total estimated capacity of 24,000 MW, the Vietnam News Agency has reported. We strive to save your cost by guiding you towards economical solutions that comply with local legislation and procedures. We support you through early logistic solutions and carry you through as your business grows. We aim to bridge the gap between international best practices and local cultures and assist foreign companies and organizations entering Vietnam market to overcome commercial and regulatory issues. Does "Property Law" include "Intellectual Property Law" or are the two areas separate? ANT Lawyers is supported by a team of experienced patent, trademark, design attorneys with qualification and skills handling full range of legal services relating to intellectual property in Vietnam. We have specialized in the preparation and registration of patents, trademarks and designs for our clients. We are representing and advising clients being multinationals, inventors, global partner law firms serving their clients in IP works in Vietnam. Let ANT Lawyers help your business in Vietnam. via email ant@antlawyers.vn, office tel (+84) 24 730 86 529 or talk to our partner directly at + 84 912 817 823.